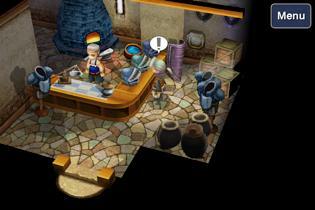 Final Fantasy III for iPhone is an enhanced port of the 2006 released version for Nintendo DS. It’s a turn based RPG with very old school gameplay mechanics. So have in mind that it doesn’t have a lot in common with Square Enix’ modern, heavily story focused Final Fantasy games – but for me, that’s actually good news. What you should expect from Final Fantasy III is 40+ hours of fun, grinding focused gameplay tied together by a rather generic ‘Underdogs were chosen to save the world’ sort of story. To give you a bit more insights into the franchise, be aware that Final Fantasy III has actually never been released in the US before the Nintendo DS version showed up. The Final Fantasy III you might have played before was actually Final Fantasy VI, since FFIII was only sold in Japan. 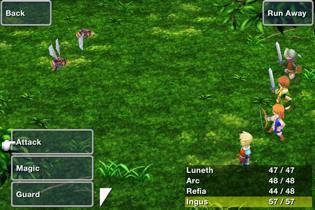 Later on, the game was labeled with the correct title FFVI. 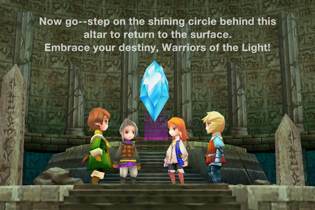 The 2006 DS version was well received by the critics and sold over one million copies in Japan. Like I already mentioned, the gameplay is pretty much focusing on combat and character development. You will spend most of the time grinding in specific areas to level up your characters and their jobs. 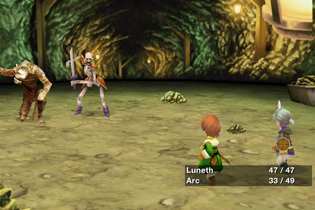 Jobs were introduced by FFIII and act basically as interchangeable classes to add some depth and variety to the gameplay. 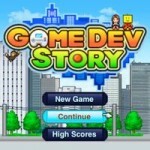 You can change the job of your characters at any given time, however, you will have to start leveling that job up again. So for defeating enemies your characters not only gain levels themselves, but also their current job is leveling up. Each job allows your characters to only equip certain types of weapons, armor and other items that are found and bought throughout the game. 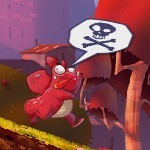 And be prepared for a rather unforgiving game with a high difficulty. FFIII can become pretty frustrating if you are not familiar with the genre – one step into the wrong area and you will face enemies that will instantly crush your party. For that matter it is important to regularly save your progress. While ‘real’ saving is only allowed on the world map, you can always quick save to get out of the current session if you have to pick up a phone call for example. But be aware that there is no auto-save function – I had to learn that the hard way and had to replay the first hour of the game. One thing that I don’t like, as nostalgic as it may be, is the fact that you will have to watch the same cutscenes and battle animations over and over again which can become quite annoying after a few hours into the game. Why am I forced to watch the same scene after a fight or while taking a rest over and over again if they don’t add anything relevant to the gameplay? Probably only Square Enix knows. The presentation of the game is great. The graphics are sharp and you can really see the improvements over the DS version. FF III for iPhone comes with a higher resolution and improved textures. You control the game with a virtual analog stick that comes up wherever you touch the screen – it’s basically the same as in Chaos Rings. The menus are well optimized for the touch interface and very intuitive. 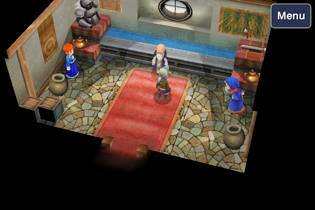 Controlling FFIII on iPhone feels actually more natural and fluid than on Nintendo’s DS – and that’s definitely an achievement worth mentioning. 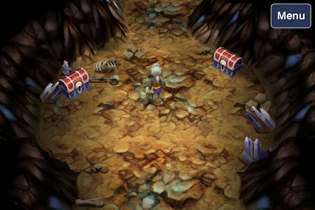 If you like the somewhat nostalgic aspects mentioned in this article and you don’t mind a bit of a challenge then FFIII will bring you lots of fun hours. I was actually surprised how much fun it was to see all the time spent grinding paying off once my characters started to nail those crazy combos. However, there is one thing that might hold you back: A hefty $15,99 price tag. While the DS version of the game is more expensive and the game features a very lengthy campaign, it is still somewhat hard to swallow that price tag on a platform where $0.99 games dominate the charts. 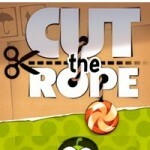 Rockstar showed with GTA: CTW that premium prices of console games don’t need to be applied to the App Store version. It feels as if Square Enix is holding on to an old concept of publishing games that becomes more and more redundant in the time of digital distribution. But if you do jump the gun you can expect to spend a long time with that investment.